When replacing an exhaust system, most Professional Service Providers are looking for a direct fit option with all the features and benefits of the original muffler. Original Equipment Style (OES) is what is preferred. It allows you to keep the appearance and performance of the original muffler. Learn more about AI’s exhaust systems. Like us on Facebook, follow us on Twitter and LinkedIn where we share tech tips, product showcases, and information on new part news, as well as updates on our team, community, store news and much more! What is the difference between Chassis and Severe Duty Chassis? Trucks, fleet and other heavy use vehicles need parts that are up to the rigors that their owners put them through. 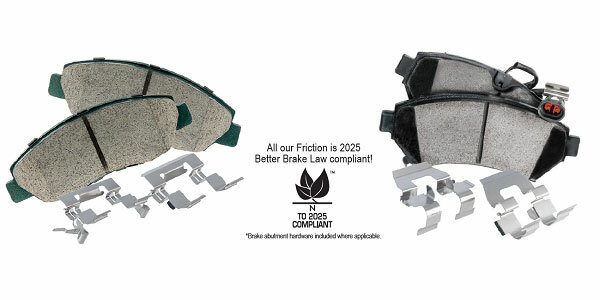 A great solution to this problem is to utilize Severe Duty parts that offer the fit of OE but have been over-engineered to withstand the harsh use of fleet and work vehicles. What to look for when sourcing Severe Duty parts. Why is it important to replace brake hardware when replacing brake pads or brake shoes? Heating and cooling cycles can weaken brake hardware. Weak hardware parts can result in excessive caliper/pad movement or binding causing noise or other related problems such as uneven and premature pad wear, rotor warping and pulling. Learn more about the importance of replacing brake hardware when replacing brake pads or brake shoes. 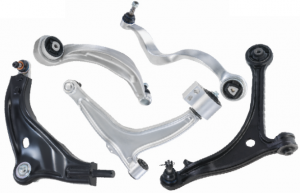 Our control arm assemblies allow for modular repairs where the rubber bushings and ball joints are already included. * It saves valuable time during installation. Learn more about AI Control Arms here. The most common reasons to replace a worn out starter or alternator are due to wiring or a weak battery. 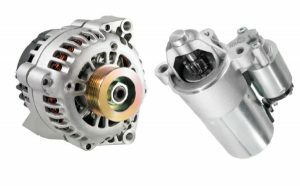 What factors contribute to shortening the life expectancy of starters and alternators? We are Official Distributors of Autel Diagnostic Tools! 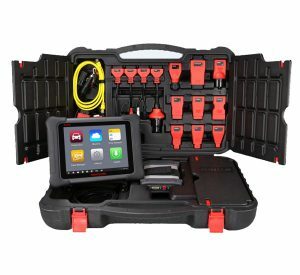 MaxiSys Elite: Newest addition to the MaxiSys line of highly advanced smart diagnostic tools – based on the fast and intuitive Android operating system. MaxiSys MS906TS: Latest addition to the MaxiSys product line of advanced wireless diagnostic devices integrated with the TPMS antenna module. MaxiCheck MX808TS: The ability to quickly read and clear DTCs for all available modules of the majority of the makes and models on the market. See all the features and benefits here.